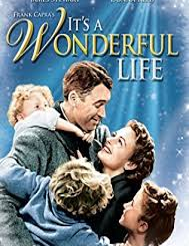 We present perhaps the best Christmas movie, indeed one of the greatest films full stop, Frank Capra’s It’s a Wonderful Life, in the usual big screen surround sound format.George Bailey is beset by so many problems he thinks there is only one way out. A visit from his guardian angel shows George what life in his town would be like without him. “Joyous, timeless classic”. £5 inc. hot dogs, 8pm start, email Adam to confirm attendance.